I have to admit as a bride to-be that I don't read many wedding magazines. I find a lot of their 'advice' to be really unhelpful, and full of rules about what you can and can't do. I recently came across an article of 7 Wedding Details Not to DIY and I was so infuriated that I had to write a rebuttal. So read on, for 7 Wedding Details You Can Absolutely DIY For Your Wedding (but only if you want to). 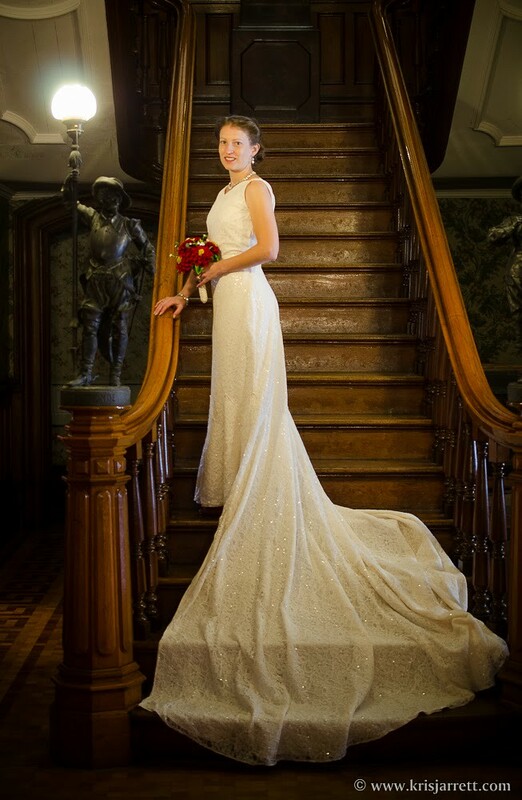 If you don't want to visit a bridal boutique, try on lots of gowns and be treated like a princess you're the anti-bride! I can't personally think of anything worse, seeing as 95% of bridal boutique dresses don't fit with my tastes, and 99% of them don't fit with my budget. If you have the skills and the time, then making your own dress (or at least designing it and getting a friend or seamstress to make it) is one of the only ways you're going to guarantee that you get exactly what you want. I have two examples to show you here - firstly, the lovely Kitten Von Mew, who worked closely with her seamstress to design her showstopper of a 1930s inspired dress, and she even made some garters herself. The second picture is of incredibly talented blogger Emily who not only designed her dress, but she sewed it too! Aren't both of these ladies just stunning in these wonderful vintage style dresses? You can read more about Kitten's wedding and how she co-designed her dress on her blog here, and head over to Emily's Vintage Visions to see more pictures of her wedding and how she made her dress. If you start searching the internet, you'll soon find that brides making their own dresses isn't a particularly rare thing, as shown by this bride here on Love My Dress, who used vintage tablecloths to craft her dress, or this American lady who crocheted her wedding dress on her commute to work! I snorted when I read the suggestion that Coast is a budget-friendly alternative to bridesmaid dresses, seeing as their current selection of bridesmaid dresses range from £125 to £495. Again, if you have the skills and the time, you might make quite a saving by making the bridesmaid dresses, or getting a talented friend or family member to help. Of course there's the possibility that you might be let down, as the original article implies, but that's why early deadlines are important, being really clear about what you want, as well as having a plan B (such as just getting your bridesmaids to wear some dresses they already have, then they can be your 'something old'!). Honestly, who will have the TIME to go to their hair salon on the morning of their wedding?! At least if I'm in my hotel room still in my dressing gown I can potter around with my hair in curlers doing other things to get ready, rather than being trapped in a hairdresser's chair half way across town! Even if you can get a hairdresser to come to you, I find that when I'm nervous and stressed that I just want to be alone, and someone fussing around my head would probably trigger a meltdown rather than prevent one. I recently read about a bride who was let down by her hairdresser on the morning of her wedding, so she just did her hair herself and ended up preferring what she had done to what the hairdresser had originally planned. I am always surprised by the number of people who want something drastically different on their wedding day, e.g. they always wear their hair down but they go for an updo on their wedding day. I think looking like the best version of yourself is what to aim for, rather than taking on a completely new look for the day. These can be arranged the day before, so ignore advice that it's "too much to do on the morning of your wedding", because you wouldn't be doing it on the day anyway. I have read many success stories about people doing their own flowers, including ordering them from Holland (try Flowers 4 Florists) and putting the bouquets and arrangements together a few days before the wedding, through to making 'flowers' from paper, silk and other craft materials. There are some stunning results from talented brides (see this crafty bride for a fabulous example or this one), and a wealth of tutorials on blogs and Youtube; I liked this simple rose bouquet tutorial here for doing your own fresh-flower bouquet. The advice in the article is to let the professionals handle this one. I admit that assembling a cake into tiers and having it structurally stable is a bit of a science, and it needs the proper equipment. But it's really not that hard to ice a cake with a simple design. 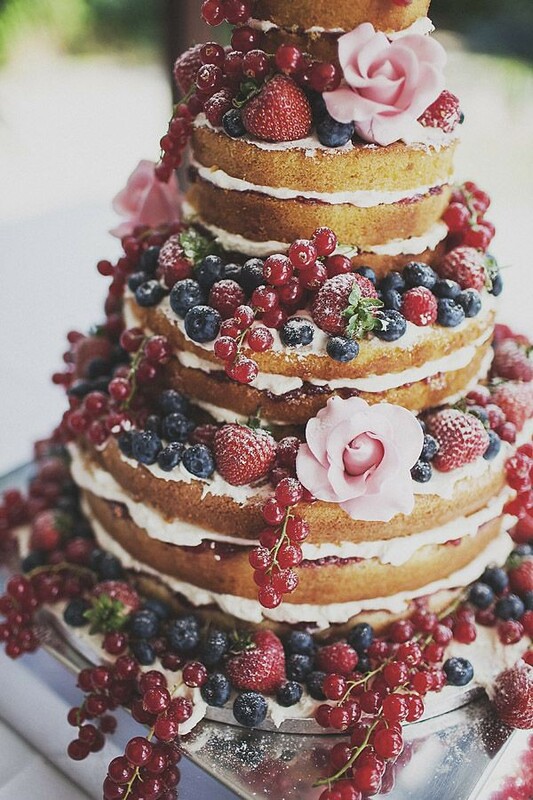 Also, there's a trend for 'naked' cakes - just add flowers and fruit. So, there's no need to get it 'professionally decorated' if you don't want to, and I'm sure that people aren't going to really be talking about nothing but the cake afterwards anyway as the original article implies. Again, I find this a bit baffling, because you can set up a playlist in advance and let it run. A child could do this, all you need is a laptop hooked up to a PA system. Ok, I agree with this one - you have to delegate so that you can enjoy the day. But I don't really see anything wrong with helping. If you're having an alternative wedding reception that's in a village hall or family home with a pitch-in attitude, then you probably will end up doing a few things, but so will everyone else - I really don't see that as a complete disaster, it will be fun and help give it a nice working-together spirit. I read on a forum about how one bride in her village hall reception helped sweep up at the end of the night, and the photographer got a shot of the bride with her broom! You could even turn the sweeping up into a game of jump the broomstick. I think overall, I feel uncomfortable with the idea that you have to buy everything off the shelf, and that's partly what irked me about the article, as well as the implication that your wedding fund should be a bottomless well. From a 2014 article here from Brides Magazine, if you went with professional services you'd be spending on average: £560 on flowers, £296 on a cake and £1,340 on a dress. That's £2,200 already, not factoring in a DJ, bridesmaid dresses and the bridal hair and make-up. Generally in life we either have time or money, rarely both. If you can afford to splash the cash, then that's great, you have many options. But don't depair that you don't have choices when you're on a budget - where there's a will there's a way, and a DIY approach can add that special personal touch. In US they spend up to 20 000$ for their weddings and it's absolutely insane not to talk about those 20k designer wedding dresses. I think if you are good at handicrafts, you should make as much by yourself as possible so that your wedding will look like YOUR wedding, not just like any other wedding. I did my own makeup, though I had my hair done in waves. The cake was a dead simple one, with the same flowers as I had in my bouquet on top. I guess it all depends where people's priorities are; some people want to spend on a cake, others on the cars, some on nothing. There's a lot of fuss and frou-frou about weddings (wedding favours - pointless tat that we didn't even have in the country in the 1970s or well into the 1980s) that people fork out for and don't really need. I think all of this makes a lot of sense - if you have the skills to pull it off. Cakes? Music? Flowers? Not going to be a big problem for a little of people, I think especially if you keep it fairly simple. I think where some people would run into trouble is trying to do a lot of stuff themselves when want they want is more elaborate or complicated. Like, if you want your wedding cake covered in fondant, either get a lot of practice in in the runup, or get someone else to do it. If you're a novice seamstress, making dresses might be too much stress, even if you feel like you're competant. But yeah, it's funny that a magazine would have an article like that. I have to wonder how many advertisers were getting nervous about Pinterest brides messing with their business model. To me it really is perfection. It cost less than $3000 and took a fortnight to plan. Marvelous suggestions! I can't help but think that those of us who love vintage and try to honour the past in different ways in our lives are almost called to do at least a bit of DIY with our weddings, as a way of honouring our foremothers who did the same before us (I say that as a wholly positive thing) - on top of the many other wonderful reasons to get one's craft on or bust out their skills when tying the knot, that is. Thanks so much for sharing my dress on your post! The DIY flowers, decorations, etc. for my wedding did mean a lot more work but I think it was well worth it in the end. I felt the same way about most wedding "advice." 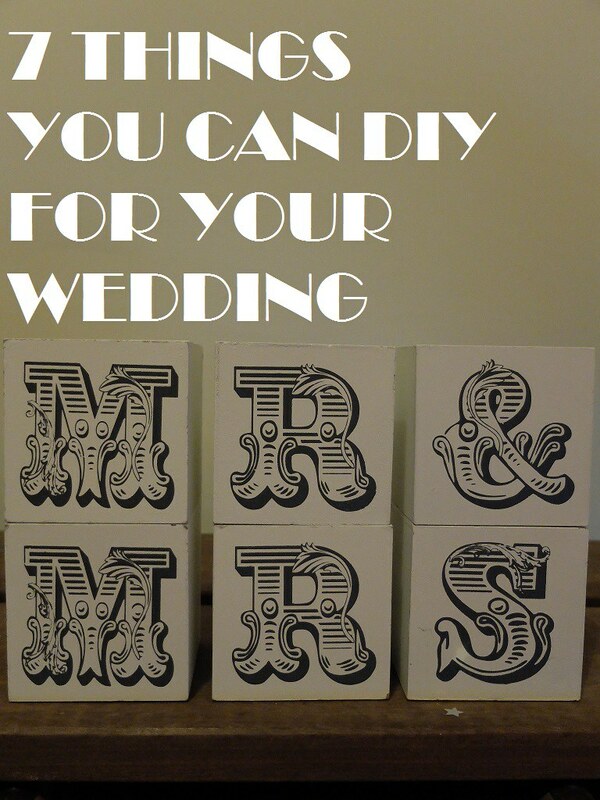 DIY projects are a wonderful way to add your own special, and personal, touches to your big day. A wedding should be fun and memorable without breaking the bank! Great post! I love weddings that have a DIY element to them. I don't have any plans of getting married myself, but for my best friends wedding I'm making her bridesmaids dresses as part of her wedding gift. All the dresses will technically be the "same" infinity dress, but can be tied differently to best suit each girl. DIY-ing can be so much more fun than just buying items! Wedding is most precious moment for everyone and specially girls have too many expectation with it. So they like to DIY thing of their wedding. Thanks for sharing this 7 things that can be DIY by anyone.